Pixel Power partners with YellaUmbrella to integrate subtitles and closed captioning - Yella Umbrella Ltd.
IBC 2017, 15-19 September, Stand 7.A31: Pixel Power, the global automation, branding and graphics innovator, has forged a technology partnership with new subtitling business YellaUmbrella. The result will be the ability to deliver multi-lingual live and file-based subtitles and closed captions, in all the various formats in use around the world, from within the Pixel Power environment. “Access services like subtitles are an imperative for all broadcasters, and a legal requirement for many,” said James Gilbert, CEO of Pixel Power. “For our playout automation solutions we needed to add this capability and wanted to work with a forward-looking, virtualization-ready company like ourselves. YellaUmbrella was the ideal choice. Together we can add vital functionality which works seamlessly.” YellaUmbrella was founded in 2016, by people who are highly experienced in the technology of subtitling, access services and broadcast infrastructure. Its core offering, Nebula, is a software product that offers flexible functionality in a form that can be used on a dedicated computer, virtualized in a data centre or in the public cloud. Like Pixel Power, it offers a range of licensing options, including paying directly for usage as well as term licenses. Using its Gallium Workflow Orchestration technology platform, Pixel Power has a rapidly growing global reputation for playout automation, and an increasing market share in true live broadcasting such as news and sports, where there is a requirement to add captions for the hearing impaired in real time. The YellaUmbrella functionality includes speech-to-text conversion for live subtitling, as well as multi-format support. “Inserting subtitles or closed captions is a surprisingly tricky business, not least because of all the different file formats required,” said Matt Deakin, CEO of YellaUmbrella. “We understand and have solved all the challenges, in a forward-looking software solution. Our business plan is to work through partnerships, and being able to announce our integration partnership with Pixel Power is very exciting.” Pixel Power is demonstrating its full range of software-defined, virtualized solutions at IBC2017, and will be discussing the options for subtitling and closed captioning thanks to the partnership with YellaUmbrella. Pixel Power can be found in its regular, prominent position in hall 7, stand 7.A31. Notes to editors: About Pixel Power Pixel Power provides innovative graphics production and integrated playout delivery systems for broadcasters, outside broadcast truck companies, playout facilities, post production houses, venues and sports complexes. Our award-winning branding and promotions systems, graphics-enabled master control switchers and sophisticated switchable graphics production systems allow producers to deliver dynamic live and pre-recorded content for any SD, HD, 4k, mobile, online or interactive application. Pixel Power has 30 years’ experience of engineering prowess and dedication to customer support that has made it the industry’s first choice in graphics, branding and playout. With more than 2500 installations worldwide, customers including market-leading broadcasters such as Al Jazeera, BBC, CBC, Disney, Discovery, Ericsson, ESPN, Sky, ViaSat and WDR. With corporate headquarters in Cambridge UK, and with regional offices in Grass Valley California and Dubai UAE, Pixel Power has a global organisation and is supported by a well-trained and focussed distributor network. About YellaUmbrella YellaUmbrella was established in 2016 with a clear vision to deliver technical services to the broadcast and media industry; yellaumbrella do not sell software or hardware, but instead provide all the means to achieve your goals based on an ongoing relationship. 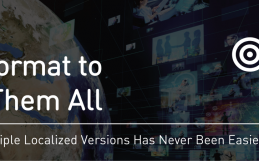 With specific experience in subtitling, captioning, access services, routing, automation, and other areas in the broadcast chain, YellaUmbrella is ideally placed to address the rising use of SAAS and cloud based approaches. YellaUmbrella’s core team of Simon Hailes and Matt Deakin have combined in depth experience in the broadcast industry of over 40 years.